“A society grows great when old men plant trees in whose shade they know they shall never sit.” Greek proverb. Scholarship Little Compton is dedicated to planting the seeds of education to help our students achieve their goals and dreams- not for today, but for the future. This year we were able, with your generous support, to award over $87,000 to forty-two students. Even though we may never sit under the shade of these trees we have helped to plant, our students will make this a better world, and will hopefully continue to pay it forward. 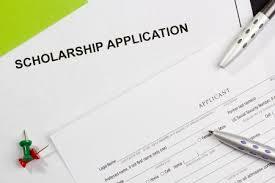 Scholarship Little Compton is a tax-deductible organization that was formerly known as Citizens Scholarship Foundation and Little Compton Dollars for Scholars. Although our name has changed our mission has remained the same…………to make post-secondary education possible for Little Compton citizens through scholarship support. Please consider a generous donation to help us fulfill our mission.